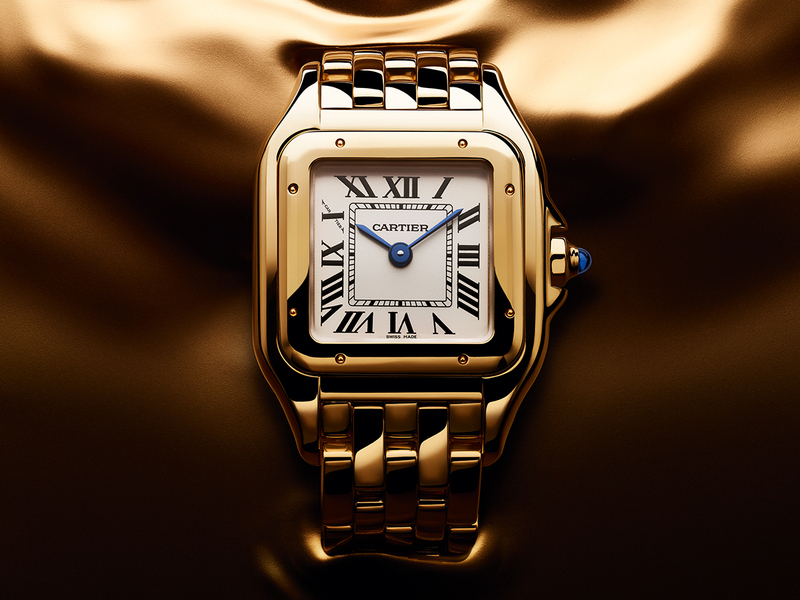 On first look, the Panthère does remind you of Cartier’s other signature watch, the Santos. The octagonal watch face with 8 screws, placement of the Roman numerals, as well as the crown set with a blue sapphire dial are all similar. What’s special and unique to the Panthère, however, lies in its bracelet. Each Panthère watch comes with an intricate link detail that’s bold, compact and really easy on the eye with the thinner silhouette allowing it to wrap around the wrist like a beautiful piece of jewellery. And for 2018, the Panthère gets an all-new version that makes it even more distinctive and outstanding, with the bracelets available in double or triple loop versions, allowing you to wear it around the wrist in alluring pink, elegant white or classic yellow golds. 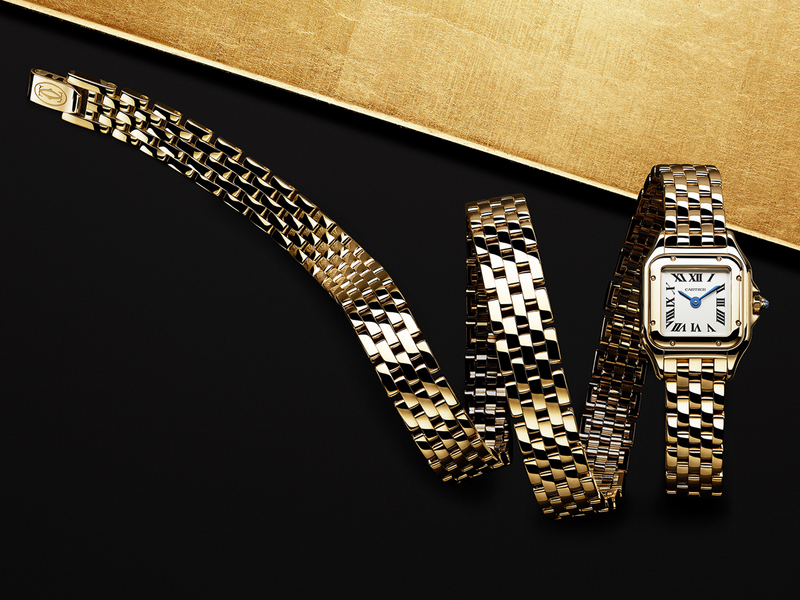 A show-stopping piece that’s made for the confident woman who dares to stand out from the crowd, its delicate chain-link strap will also sit most comfortably on your wrist. Available in 2 sizes currently for the new models, the Mini comes with a triple loop bracelet, while the Small comes with a double one. And with case dimensions of 20 mm by 25 mm and 22 mm by 30 mm respectively, those wanting extra shine and sparkle can opt for the timepieces that come with a fully paved diamond bezel. Price start from SGD46,300 (yes it does cost a pretty penny) but only because all the pieces in this collection will only come in gold, be it in gold, pink or white. 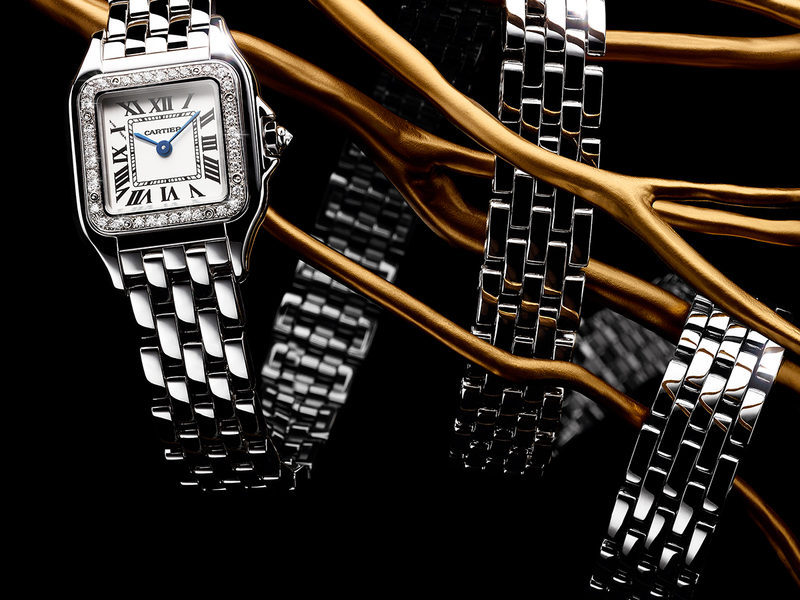 Great for wearing on its own, or stacking with other pieces of jewellery if you love a good #wristyparty, you can now check them out at Cartier boutiques across Singapore. And if the watch fits… you know what to do.